Flor is coming to DC! 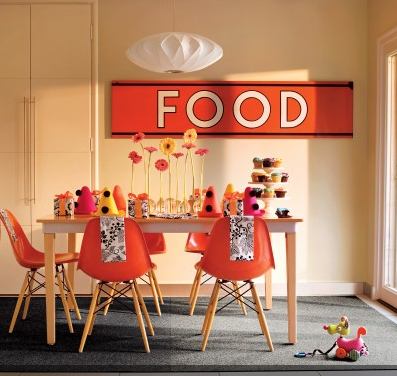 By now you’ve surely heard of Flor, the modular carpet tile company that is fashionable and reasonably priced. If not, you’re going to love it. Luckily, you’ll soon be able to check our their wares in person because they are going to be opening a store in Georgetown! The color range is HUGE. You can even shop by color. 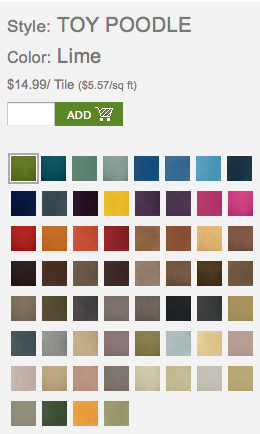 This is just the color range for one of their popular tiles, called “Toy Poodle.” So many! The pile, well, it’s a bit of a shock to the system for those of you who are used to plush rugs and shags. 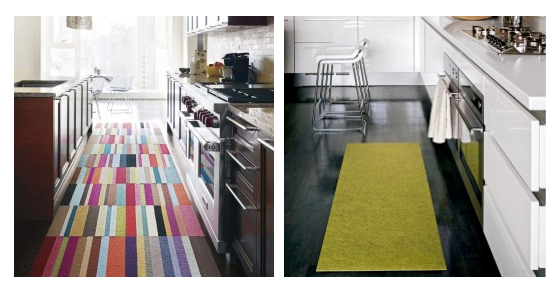 Though some are thicker than others, Flor tiles are generally less cushy than a true rug. You may want to use them in a playroom, family room, or transitional or utility space and save the plushness for your living room and bedroom. So that’s something to be aware of. As you may expect, the thinner/more industrial the pile the cheaper the tile; the one picture below is just $7.99 (for one)! I love love love how you can just swap one out if it is bears the brunt of a catastrophic spill (pets? kids?…you know what I mean). I recommend them highly for dining rooms, because the pile is low so they easily accommodate chair scoots, and their interchangeability is friendly to spilled red wine/marinara sauce/all that stain-ey stuff. They stick to the floor with little circles of adhesive, and though they can be removed easily they really stay put. They’re only for use on hard surfaces though, so unfortunately, there’s no carpet layering going on with these colorful squares. (Do try a test sticker or contact your flooring manufacturer if you have a laminate…we don’t want any stripping of the finish). Flor tiles are customizable, which means you can size them into rugs, cut them to make specialty shapes or sizes, and use just a few to create fun runners or entry mats. See? Until now, when specifying Flor for clients I’ve always ordered samples from the company (they do charge shipping for samples) or used a few that I have on hand to give clients a feel for the tiles. So I am thrilled to be able to hop in my car and head over to Georgetown to see their tiles in person on a more regular basis. Three cheers for Flor! I can’t wait! ← My Baby is 3!